Franics COOKE (c.1583 -1663) (Wikipedia) was one of the 102 passengers on the Mayflower. This early settler is one of the twenty-six male Pilgrims known to have descendants. He was Alex’s 10th Great Grandfather; one of 2,048 in this generation of the Miller line. Francis Cooke was born in 1583 probably in England. He is described in Leiden Walloon church marriage records dating from 1603 as a “woolcomber out of England”. However, his origins are unknown. He could have been a refugee from religious persecution elsewhere in continental Europe. He married Hester le MAHIEU in Leiden, Holland with marriage intentions published 20 Jul 1603 . While in Leiden, Francis and Hester were members of the Walloon church. In 1606, they left Leiden briefly for Norwich, England, where they joined another Walloon church, returning to Leiden in 1607, possibly for religious reasons. Between 1611 and 1618, the Cookes were members of the Pilgrim Separatist congregation in Leiden. The Pilgrim church was not established in Leiden until 1609, so Francis was living there long before their arrival and must have met up with and joined them afterwards. In 1620, Francis, his son John, and nephew Philippe de Lannoy boarded Speedwell at Delftshaven. Francis left Hester and their younger children behind to follow when the colony was established. The Leiden Separatists bought the ship in Holland. They then sailed it to Southampton, England to meet the Mayflower, which had been chartered by the merchant investors. In Southampton they joined with other Separatists and the additional colonists hired by the investors. The two ships began the voyage on 5 Aug 1620, but the Speedwell leaked badly and had to return to Dartmouth to be refitted at great expense and time. On the second attempt, the two ships sailed about 100 leagues beyond Land’s End in Cornwall, but the Speedwell was again found to be leaky. Both vessels returned to Plymouth where the Speedwell was sold. It would later be revealed that there was in fact nothing wrong with the ship. The crew had sabotaged it in order to escape the year long commitment of their contract. Eleven people from the Speedwell (including Francis and John Cooke) boarded the Mayflower, leaving 20 people (including our ancestor Robert CUSHMAN and Philippe de Lannoy) to return to London while a combined company of 103 continued the voyage. For a third time, the Mayflower headed for the New World. She left Plymouth on September 6, 1620 and entered Cape Cod Harbor on 11 Nov 1620. Arriving at what is now Provincetown, Massachusetts, on November 11 (November 21, new-style calendar), forty-one of the passengers, among them Francis Cooke, signed the Mayflower Compact as the boat lay at anchor. Francis died on 7 Apr 1663 in Plymouth, Mass. Hester le Mahieu was born about 1585 in Canterbury, Kent, England. Her parents were Jaques le MAHIEU and Jeanne [__?__]. They Protestant refugees from the Walloon Flanders area. The Mahieus, from Lille, had resided in Canterbury, then London, since the 1570s before moving to Leiden in 1590. Hester Mahieu’s name also appears in records in Leiden in 1603 as having been accepted as a member of the French Reformed Church (known as the Walloon Church) of Leyden. Her name in this list reads “Esther de Mahieu.” The baptism of John Cooke, Francis and Hester Mahieu Cooke’s firstborn son, is also in the Walloon Church records. Hester and their daughters Jane and Elizabeth and son Jacob arrived on the Anne in 1623. Two more children, Hester and Mary were born at Plymouth. Hester died after 8 Jun 1666. 26 Dec 1645 Plymouth, Mass. 21 Mar 1714 Middleboro, Mass. Francis appears frequently in Plymouth records on grand and trial juries, as a surveyor of the highways, on various ad hoc committees, and in a number of land transactions. After the common house had been completed, houses for the families were built. Since the winter had seen so many deaths, the Pilgrims were reduced to 19 families and each of these 19 received a parcel of land about fifty feet deep. Frontage was proportional to the number in the family, about eight feet per person. Lots were cast to decide each family’s position in the “two rows of houses” which were to be built “for more safety.” This allotment was for their use for only the year, to build houses and plant gardens, and they could not pass the land down to their heirs. Francis Cooke appears on a diagram of “meersteads & garden plots of [those] which came first laid out 1620” with his plot being on the south side of the street, with Isaac Allerton and Edward Winslow on his east and west. Hester le Mahieu’s sister was Marie le Mahieu, wife of Jan Lano, another Protestant refugee in Canterbury and then Leiden, whose son, Philippe de Lannoy (anglicized to ‘Delano’) migrated on the Fortune to join his uncle Francis Cooke and his cousin Robert at Plymouth colony in 1621, having been left behind with twenty others when the Mayflower’s sailing mate, the Speedwell, foundered and returned to port in England leaving the Mayflower to sail alone. Philippe is the progenitor of the branch of the Delano family from which Franklin Delano Roosevelt descends. On Friday, February 16, 1621, while Capt. Myles Standish and Francis Cooke were at work in the woods they were recalled by an alarm at the approach of Indians. “Écoming home left their tools behind them; but before they returned, their tools were taken away by the savages. 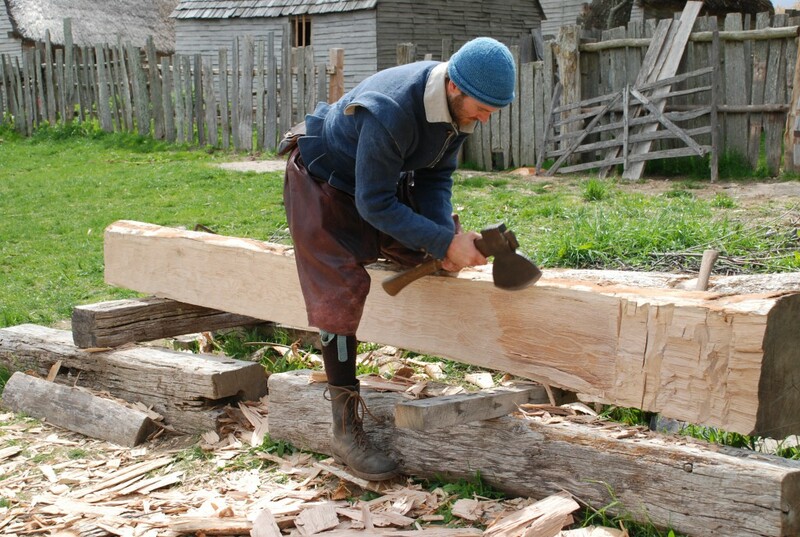 This coming of the savages gave us occasion to keep more strict watch, and to make our pieces and furniture ready, which by moisture and rain were out of temper.” The Indians returned the tools a month later. In the late 1623 Plymouth Land Division, he received two acres as a passenger on the Mayflower with his son John, plus four acres for the rest of his family which came on the Anne in August 1623. Some of this land was apparently sold to William Bradford by 1639. In 1627, when personal ownership of land became a fact, Francis received 20 acres for each share held in the Plymouth Company, that is, for each member of his family. The Division of Cattle made at Plymouth on May 22, 1627 assigned the first lot “Éto ffrancis Cooke & his Companie Joyned to him his wife Hester Cooke (3) John Cooke (4) Jacob Cooke (5) Jane Cooke (6) Hester Cooke (7) Mary Cooke (8) Moses Simonson (9) Phillip Delanoy (10) Experience Michaell (11) John ffance (12) Joshua Pratt (13) Phinihas Pratt. To his lot fell the least of the 4 black heyfers Came in the Jacob, and two shee goats.” This is the earliest Plymouth Colony records found which names the wife and children of Francis. Not surprisingly, the six unmarried men associated with the family included friends and relations. Philip Delano, then 23, was probably Hester’s nephew. Experience Mitchell was to marry Francis’s daughter Jane shortly after this. The Pilgrims had a contract with the Company stating all land and profits would accrue to the Company for 7 years at which time the assets would be divided among the shareholders. Most of the Pilgrims held some stock. Francis Cooke was one of the “Purchasers” who in 1627 bought all the rights of the London “Undertakers.” One month after the Division of Cattle he signed a more favorable contract between the “Purchasers” and the “Undertakers” by which the latter were to have, for six years, the control of the entire trade of the plantation with the outside world. “Francis Cooke is still living, a very old man, and hath seen his children’s children have children. After his wife came over with other of his children; he hath three still living by her, all married and have five children, so their increase is eight. And his son John which came over with him is married, and hath four children living. For Plimouth, John Jeney, Francis COOKE, [George KEMPTON’s son ], Manaseh Kempton, Edward BANGS, Nicholas SNOW, John Winsloe, James Hurst. Francis Cooke was on the 1633 Plymouth list of freemen ahead of those admitted Jan 1 1632/33 and also on the Mar 7 1636/37 and 1639 lists of Plymouth freemen. He was also in the Plymouth section of the list of freemen of 1658. In the tax list drawn up by order of the General Court held Jan 2 1632/33, he was taxed eighteen shillings to be paid in corn at six shillings per bushel. One year later, January 2, 1633/4, his tax was nine shillings and his son John was taxed nine shillings. 7 Jan 1632/33 – Robert Hicks and Francis Cooke were appointed arbitrators to settle a difference between Dr. Samuel Fuller and Peter Brown. James Hurst, Francis Cooke and John Doane took the inventory of Martha Harding’s estate which was presented to the court October 28, 1633. James Hurst, Francis Cooke and Phineas Pratt took the inventory of Francis Eaton’s estate on November 8, 1633. 1 Oct 1634 – John Jenney, Francis Cooke and five others were appointed to lay out highways for Plymouth. 24 Dec 1636 – John Harmon, son of Edmond of London, contracted to became the apprentice of Francis Cooke for seven years “from the first of Octbr, 1636, to the exiraon of the said terme, and then to be dowble apprelled” and to received twelve bushels of corn from him. 7 Mar 1636 – Francis Cooke sued Mr. John Browne, the elder and Thomas Willet, together with several other men working for them: Thomas Lettis, James Walter, John Browne the younger and Thomas Teley. The charge was that on November 9, 1636 they had caused £10 in damages by abuse and injury to some of his cattle, viz: “vnreasonably abuse the cattle of the said Francis Cooke, insomuch that therevpon one cowe cast her calf, & hath lost her milk, & is in danger to be lost herself.” The jury found in Francis Cooke’s favor against John Browne the elder “3£ damnage, & 13s. 6d. charges of the suite.” On June 7, 1637 Francis Cooke was granted an execution against John Browne. 2 Jan 1637/38 – “Franc Cooke” served on several trial juries: Michaell Turner against John Davis for damage to a boat; Edward Dotey against John Holmes in a case of transpass; and John and Elisabeth Willis against William Bradford, Edward Winslow and Thomas Prince (as executors of a will) in a dispute about land. 7 Mar 1636/37 – “Frauncis Cooke complains against Thomas Lettis, James Walter, John Browne the yeonger, & Thomas Teley, and against Mr John Browne the elder & Thomas Willet, vpon an action of the case, to the damnag of x [shillings], for that they, the said Thomas Lettis, James Walter, John Browne the yeonger, & Thomas Teley, in the service of the said John Browne thelder, & Thomas Willet, did, about the ix’th day of November last, vnreasonably abuse the cattle of the said Francis Cooke, insomuch that therevpon one cowe cast her calf, & hath lost her milk, & is in danger to be lost herself. The jury found for the pltiff against John Browne thelder, and doe assesse him three pounds damnage, and the cost of the suite. Francis Cooke’s name appears in two lists of the townsmen of Plymouth. The first is dated December 10, 1646. The second is undated, but was probably made between 1648 and 1659. Francis Cooke’s team is mentioned in a list of teams, with men assigned to each, for drawing wood; but part of the leaf is missing and the purpose is unclear. There is no date, but it was probably made between 1648 and 1652. 1 Aug 1648 – [Francis Cooke was on an investigative panel for a murder case of the four-year old daughter of Richard and Allis Bishop] “These sheweth, that on July the 22cond, 1648, wee, whose names are vnderwritten, were sworne by Mr Bradford, Gouerner, to make inquiry of the death of the child of Allis Bishop, the wife of Richard Bishope. “Wee declare, yt coming into the house of the said Richard Bishope, we saw at the foot of a ladder wh leadeth into an vpper chamber, much blood; and going vp all of us into the chamber, wee found a woman child, of about foure yeares of age, lying in her shifte vppon her left cheeke, with her throat cut … and the said Allis hath confessed to fiue of vs att one time, yt shee murdered the child with the said knife. “John HOWLAND, James Hurst, Robert Lee, John Shawe, Francis COOKE, John Cooke, James Cole, Gyells Rickard, Richard SPARROW, Thomas Pope, Francis Billington, William Nelson. Plymouth Colony Records, Vol. 2, p. 132. Francis’ will was made 10 Jul 1659. He makes his wife Hester and son John executors. It is witnessed by Howland and Alden. Inventory was taken 1663 by Eph. Tuckham and Wm Crowe. An inventory was taken of his possessions by Ephraim Tinkham and William Crow on May 1, 1663. His total net worth at that time was 86 pounds, 11 shillings, and 1 pence. An agreement made June 8, 1666 between John Cooke, Jacob Cooke, Hester Wright the wife of Richard Wright and Mary Tompson the wife of John Tompson disposed of the land of Francis Cooke. The agreement mentions Hester Cooke is still living. On the same date John Cooke confirmed to Richard Wright and Thomas Mitchell, in equal shares, sixty acres of upland, near Jones River Meadow formerly given them by Francis Cooke. On July 5, 1670 a court record mentions that land called “old Cookes Holes,” lying at Jones River was given by Francis Cooke to Richard Wright and Thomas Mitchell and since his (Francis) decease confirmed unto Richard Wright and Thomas Mitchell by John Cooke. Jane’s husband Experience Mitchell was born 1609 in Leyden, Holland. His parents were Thomas Mitchell and Margaret Williams. After Jane died, he married Mary before 1641 in Plymouth, MA?.. Experience died 4 Sep 1689 in Bridgewater, Plymouth, Mass. Experience Mitchell arrived in Plymouth in 1623 on the Anne, and Banks writes that he was from Duke’s Place, London. Underhill (Small Descendants, 1:510), based in part on Dexter (p. 625), thought Experience was the son of Thomas Mitchell of Cambridge, England, who was a member of Francis Johnson’s church at Amsterdam, and that Experience was born in Leiden in 1611. Ralph Wood takes exception, however, in his MF5G:12 volume, 1996, and includes Mary “presumed, quite safely, as a daughter of Jane, based on Mary’s approximate date of birth.”. Mary is born about 1632, presuming Jane married about 20. There is then a near 10-year span before the rest of Experience’s children are born, presumably, by his second wife, Mary,. Another observation is that if Jane died very early in their marriage, Experience was left with near infant children–quite a hardship in any event, and especially so in those days. Many such men would hasten to find a new wife and mother for such small children, and female companionship for themselves, however, Experience doesn’t remarry until 1640/41. John’s wife Sarah Warren was born 1614 in England. Her parents were Richard Warren and Elizabeth Walker. She arrived with her mother on the Anne in 1623. Sarah died 25 Jul 1686 in Dartmouth, Mass. 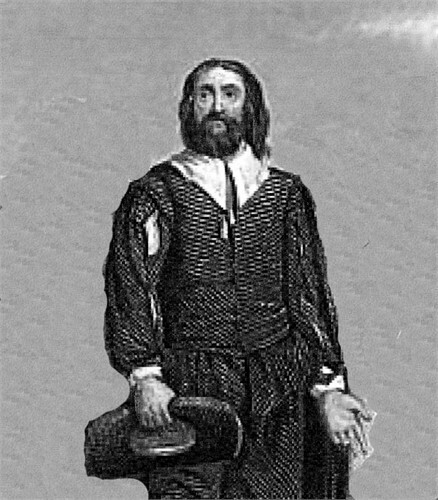 Richard Warren (c. 1580–1628) was a passenger on the Mayflower in 1620. He settled in Plymouth Colony and was among ten passengers of the Mayflower landing party with Myles Standish at Cape Cod on Nov 11, 1620. 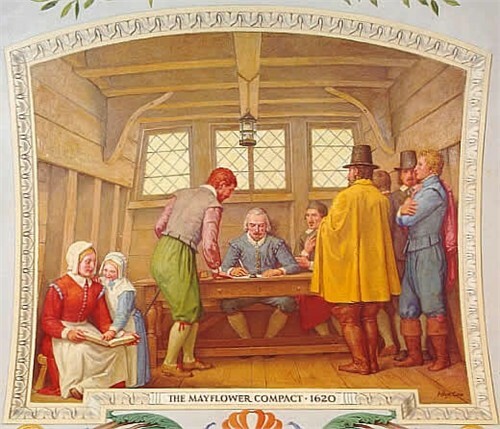 Warren co-signed the Mayflower Compact and was one of nineteen (of forty-one) signers who survived the first winter. His wife’s maiden name was Elizabeth Walker, the daughter of Augustine Walker of Great Amwell, Hertford; she was baptised 1583 in Baldock,Hertfordshire, England, died October 2, 1673. She and his first five children, all daughters, came to America in the ship Anne in 1623. Once in America, they then had two sons before Richard’s death in 1628. Although the details are limited, Richard Warren and wife, Elizabeth, and children were mentioned in official records or books of the time period. All seven of their children survived and had families, with thousands of descendants, including: President Ulysses S. Grant, President Franklin D. Roosevelt, former Alaska Governor Sarah Palin, astronaut Alan Shepard, author Laura Ingalls Wilder (Little House on the Prairie series), actor Richard Gere, Lavinia Warren, also known as Mrs. Tom Thumb, educator and poet Henry Wadsworth Longfellow, and the Wright brothers. Warren is among the less documented of the Mayflower pioneers. Clearly a man of rank, Warren was accorded by Governor William Bradford the prefix “Mr.,” pronounced Master, used in those times to distinguish someone because of birth or achievement. From his widow’s subsequent land transactions, we can assume that he was among the wealthier of the original Plymouth settlers. And yet, Bradford did not mention him in his History of the Plimouth Plantation except in the List of Passengers. He was not of the Leiden Pilgrims, but joined them in Southampton, England to sail on the Mayflower. Richard Warren received his acres in the Division of Land in 1623. In the 1627 Division of Lands and Cattle, in May 1627, “RICHARD WARREN of the Mayflower” was given “one of the black heifers, 2 she-goats, and a grant of 400 acres of land” at the Eel River (Plymouth, Massachusetts). The Warren house built in that year (1627) stood at the same location as the present house; it was re-built about 1700, at the head of Clifford Road, with its back to the sea, and later owned by Charles Strickland (in 1976). John was the last male survivor of the Mayflower passengers. John’s daughter Esther was the first wife of our ancestor Thomas TABER. John was a part time Baptist minister at Dartmouth. There is a memorial plaque to his memory on Pilgrim Street, Fairhaven, MA. In 1637, he volunteered in Capt. Prince’s company, for the Pequot War. In 1639, was elected one of the governor’s assistants. When the schism arose in the church at Plymouth (of which he was at the time an elder), in regard to baptism, he took sides with the opposition, afterwards known as Baptist, and was excommunicated. 1654, as one of the deputies of Plymouth, he made the report of the Committee on the Affairs between the Plymouth and Massachusetts Bay Colonies. In 1662, he removed to Dartmouth, and was appointed by the Court the first magistrate of the town, an office which he held for many years; and was deputy from that town to the General Court for a long succession of years. Previously, he had held the office of deputy from Plymouth for a number of years,–from 1640 until his removal. 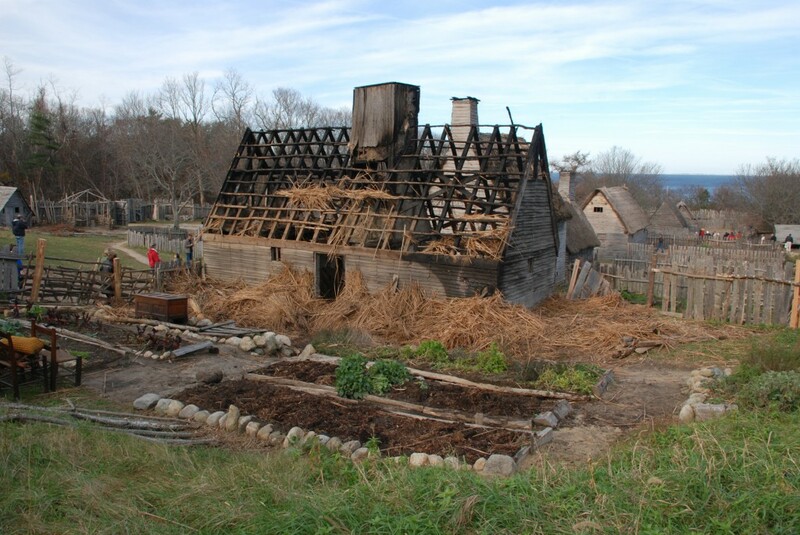 On the breaking-out of Philip’s War, the town of Dartmouth was one of the first to feel its effects, and the house of John Cook was the first to suffer; being burned to the ground. On the division of Capt. Church’s force in this neighborhood, when in pursuit of the Indians, soon after, one party was ordered to “rendezvous at the ruins of John Cook’s house.” As a prominent person in colonial affairs and in the new settlement, it is very probable that he had increased the hostility of the Indians, having had much to do with them in the purchase of lands, &c.; as in 1665 he was appointed by the Court, with the Treasurer, to treat with King Philip about the sale of some lands in behalf of the colony. In the same year, he purchased for other parties the Island of “Nakatay;” and the Court ordered, that, unless they pay him for his trouble and expense in the same, he was to have it for his own use. Dartmouth was almost totally destroyed at the breaking-out of Philip’s War. On 5 Oct 1675 “John Cook, as magistrate of the town of Dartmouth, is ordered by the Court to communicate to the inhabitants their orders in regard to rebuilding and settling the town again.” 1677, he was appointed by the town to receive their portion of the funds raised for the relief of the Colony by “divers Christians” in Ireland (occasioned by the wars). 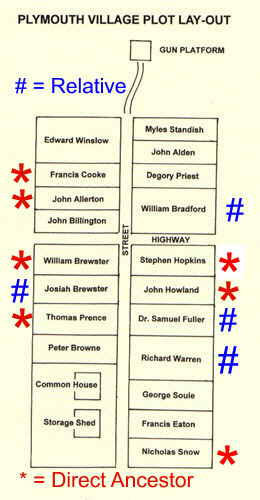 In the controversy of the town with Dr. Cooper of Newport, R.I., for his attendance and services on William Dio, a pauper, John Cook, as magistrate, is ordered by the Court, March 5, 1678, to call a town-meeting of the inhabitants, for the purpose of receiving money to pay the bill, some time before October. His daughter Sarah married Arthur Hathaway, Nov. 20, 1652. He died, according to Dartmouth Records, Nov, 23, 1695. Josiah’s wife Elizabeth Ring was born 23 Feb 1603 in Ufford, Suffolk, England. Her parents were our ancestors William RING and Mary DURRANT. Elizabeth died 28 Dec 1687 in Plymouth, Plymouth, Mass. Mayflower Families Through Five Generations, p. 25-27, has a discussion regarding Elizabeth and Hester. There were only three children with their mother on the Anne in 1623. Jacob and Jane are known, and the third was either Elizabeth (and then Hester was born in Plymouth) or it was Hester (and then Elizabeth had died before leaving Holland). Elizabeth was not listed in the Cattle Division so definitely she died by 22 May 1627. Since Hester later successfully filed suit to share in grants to children born in Plymouth, it is probable she was born in Plymouth after 1623. That would mean Elizabeth was was the third child on the Anne, hence alive in 1623. Hester’s husband Richard Wright was born 1608 in Norfolk, England. His parents were Richard Wright and Margaret [__?__]. Richard died 9 Jun 1691 in Plymouth, Mass. 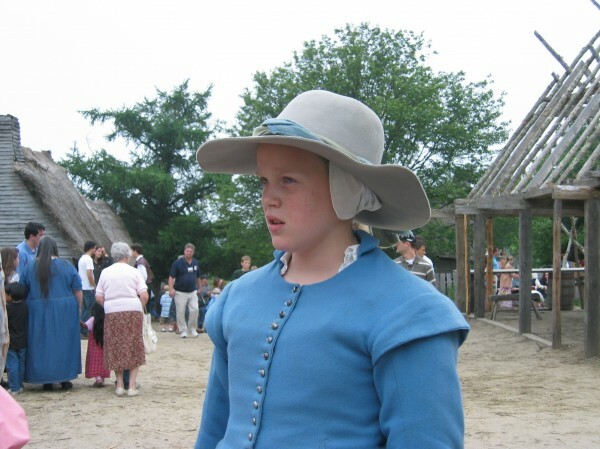 Ralph Wood, in Mayflower Families Through Five Generations suggests that Francis’ daughter Elizabeth made the trip to New England before dying. (John came with Francis in 1620, 3 children with Francis’ wife Hester on the Anne in 1623: Jane, Jacob and either Elizabeth or Hester.) Birth dates of 1620 for Hester must postulate that Elizabeth died before coming to New England, so Hester was born before Francis came. However, Richard and Hester Wright appear to have shared in a grant of land to children born in Plymouth (and were sued by Family:John Tomson and Mary Cooke (1) to share in it-PCR 4:54), suggesting she was born after coming to New England, and consequently that Elizabeth was one of the 3 children on the Anne. Next child, Mary, based on age at death, born Mar 1626 to Mar 1627. So Hester born after May 1624 (9 months after the family reunited) and before Jun 1625 (to clear the stage for Mary). Hester married in 1644, and since legal age for women is 18, she was born by 1626, which is easily satisfied either way. Francis Cooke, in Anderson, Robert Charles. 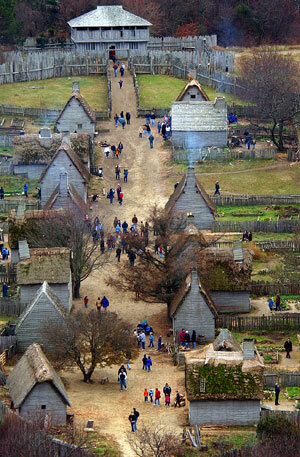 The Great Migration Begins: Immigrants to New England, 1620-1633. (Boston: New England Historic Genealogical Society, 1995). One of the three children for which Francis received an acre land in 1623, and therefore conceived before Francis left on the Mayflower in 1620. This source does not explicitly allocate this land to Hester, as is implied by this abstract, only to the part of the family that came on the Anne. It cites PCR 12:4-5, which only notes that the grants are made to Francis Cooke, 2 acres from being on the Mayflower, 4 acres for those who came on the Anne. However, this source does show a birth of Mary in “say 1620”, but with no source cited, so it is not clear what this estimate is based on. The qualifier “say” usually indicates situations where a child is inserted in a likely gap between other siblings. Elizabeth is shown being born but no death or any further information. In sum, this site does not seem to have any real evidence to show whether Elizabeth or Hester was the third child on the Anne. This entry was posted in 12th Generation, Artistic Representation, Dissenter, First Comer, Immigrant - England, Line - Miller, Storied, Wikipedia Famous and tagged Mayflower, The Anne - 1623, The Sea Venture - 1609, The Speedwell - 1620. Bookmark the permalink. My research has led me back to Elizabeth Cooke: daughter of Francis Cooke & wife Hester Mahieu. Are you absolutely certain that Elizabeth died in Plymouth? . . . Before 1627? This conflicts with our family information. I have her married to my ancestor Alexander Lillington (an early deputy governor & judge in the Carolinas). Please let me know where Elizabeth Cooke is supposedly buried. If she is not my ancestor, I would like to know for certain. Any assistance or information you can provide regarding this daughter Elizabeth will be greatly appreciated. Wikipedia says Elizabeth was baptized in Leiden on December 26, 1611. There is no further record. You have well done articles here, I hit your site regularly doing research. Just a question on this page, do you know where that “portrait” of Francis Cooke comes from?